This last weekend on August 7 and 8, the Kent State Truth Tribunal (KSTT) traveled to San Francisco to record and preserve narratives from west coast-based original witnesses to and participants in the 1970 Kent State shootings. My sister Allison Krause was one of the four students killed at Kent State and our tribunal has provided an opportunity for me to follow in my father Arthur Krause’s footsteps and discover the truth for my family. My father, who for over ten years fought for justice in the courts, would add, “and not let our government get away with murder at Kent State”. 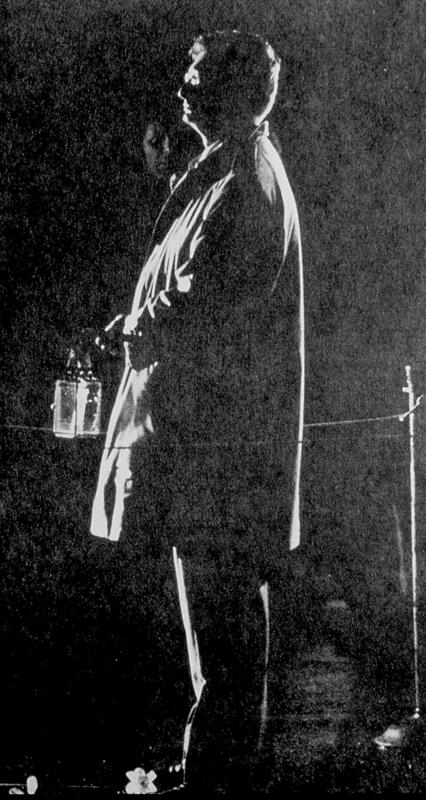 Throughout our recording sessions with the KSTT, I have felt the presence of Allison and my dad and I wanted to share him with you in this photograph, taken in 1975 at a candlelit memorial on the 5th anniversary of Allison’s death. After we lost Allison, Arthur Krause made it his business—until the end of his life—to get the truth out about Kent State and this year I feel he is joining our call for truth at Kent State in 2010. Our second KSTT session in San Francisco (our first was this year at the 40th anniversary of the shootings, in Ohio in May) enabled us to see, hear and record critical details and first-hand observations. Our west coast participants, coming from vastly different walks of life, gave testimonials that provided greater insight and detail into the lead up to the Kent State shootings, the shootings themselves and the events that followed. A clearer picture is beginning to emerge about the 67 shots fired over 13 seconds by the national guard at unarmed students protesting the U.S. expansion of the Vietnam War into Cambodia at Kent State University in Ohio on May 4th 1970. For the first time at the KSTT, we heard from participants with military training and background shine a light on the mechanics of the shootings at Kent State and the factors that came together to create this egregious military action. Take a look around today and you’ll see that the lessons learned 40 years ago had a pronounced effect in silencing a generation. Despite the perspective we now have as a nation that the Vietnam War cost us dearly, the spirit of protest has only diminished over the past four decades. I think back on the passion and social consciousness of my peers and the older kids I admired when Allison was at Kent and I can see how badly scarred this feisty, compassionate sixties generation eventually became. Pulling out weapons set aside to defend America and turning them on its children betrayed for many some of the basic social contracts we all took for granted. I believe those wounds have still not healed and continue to plague this country. We learned about live ammunition and training procedures from a former member of the Ohio National Guard, stationed in the same shooting troop deployed to Kent State. This brave Guardsman from the sixties reported on the use of steel-jacketed, armor-piercing bullets—bullets designed to be used against tanks and structures. These deadly bullets were deployed against Kent State students that day, shooting into a peaceful assembly of unarmed 19- and 20-year-old college kids as they changed classes during lunch time and attended a peace rally on that Ohio spring day. Howard Ruffner, a student at Kent State and a stringer for Life Magazine at the time of the shootings, arrived at KSTT-SF with a huge stack of photographs he took on May 4, 1970. As an independent observer that weekend, Howard told us he photographed whatever he found—chronicling the exact movements before, during and after the shootings. Gail Ewing, the first Ohio National Guard to participate, bravely offered his experience from 1964-67, with the same unit involved in the shootings at Kent State 1970. Sharing chilling, military detail Ewing commented, “We had no training for riot control. I was sent to Cleveland for the riots in 1966 and we were given tear gas grenades and live ammunition and put on guard duty with no instruction on when to load your weapon or when to use tear gas. They just passed it out and put us on guard duty.” This is not unlike the behavior of the Ohio National Guard troop on Blanket Hill at Kent on May 4th. Ewing added, “In terms of the decision-making, that order of live ammunition probably came from higher than local company commanders, it was at the state level or maybe even federal level,” confirming that government officials were directly involved in the killings at Kent State. We’re still processing all of this new information and insight from the narratives we recorded and preserved in San Francisco, and I invite you to take a look at our findings to discover the truth for yourselves. This image of Arthur Krause was forwarded to me just this morning. Seeing my dad gives inspires me to pursue our right to know the truth and fight for justice at Kent State. Freedom of speech and the right of assembly must be protected. The ability of the government to preserve order is a necessity in a civilized nation. These two elements must be balanced, but it is incumbent on those who are armed to ensure that ONLY those who cannot otherwise be prevented from harming others be subject to potentially lethal violence. Our San Francisco event also brought Lester Chambers of the Chambers Brothers to ‘share his truth’ on Kent State as his recording of ‘Time Has Come Today’ was at the top of the charts when the Kent State shootings happened. For us, he performed ‘People Get Ready’, expressing his wish to amend the words of this song to: “People get ready there’s a CHANGE a’coming!” Please listen and get ready for the change a’coming! Editor’s Note: To learn more about the Kent State Truth Tribunal, please go to www.TruthTribunal.org and to support our efforts. 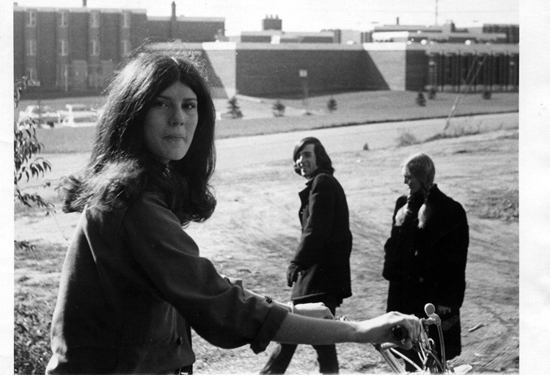 Allison Krause was slain at Kent State University on May 4, 1970 by the Ohio National Guard. She was protesting against the VietNam war on her Ohio university campus. The shots that killed Allison came from the Ohio National Guard that were occupying Kent State University over the first four days of May 1970. 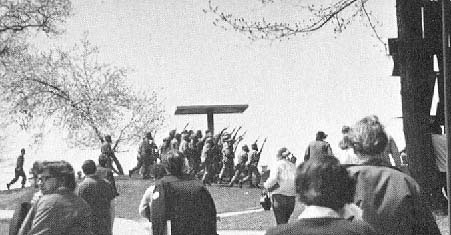 Just before the shots of the Kent State Massacre, the guard turned and marched away from the protesting students. The guard continued up a hill, stopped and then turned in unison. Also in unison, they discharged 13 seconds of 67 armor-piercing bullets from their M1 rifles into a group of unarmed, protesting students, most of them over a football field distance away. This same troop of guardsmen have continuously claimed that there was not an order to shoot. Forty years later, everyone involved with Kent State–everyone that has walked this path of horror–knows the truth. That when the Ohio National Guard marched up the hill and all turned in unison to discharge their weapons in unison…it is evident that it was their intention to shoot as they aimed their weapons at unarmed protesters. Some one made a decision and, as in all military situations, this troop of guardsmen followed orders. With the advent of findings from a May 7, 2010-reported investigation of the Kent State audio tape by the Cleveland Plain Dealer, new evidence has surfaced to isolate and verify the verbal ‘prepare to fire’ order given by the Ohio National Guard seconds before shooting their weapons. The trouble is that history does not report the truth at Kent State. And this is the reason for us to gather together for a truth tribunal…to share our stories, personal narratives..to document and honor these truths from all participants. Allison calls for the national guardsmen to now share their ‘real’ truth at this tribunal. She calls for the truth in 2010! This year we all call for the truth to finally be known about what happened at Kent State in 1970! The Kent State Truth Tribunal invites your participation, support and tax-deductible, charitable donations. 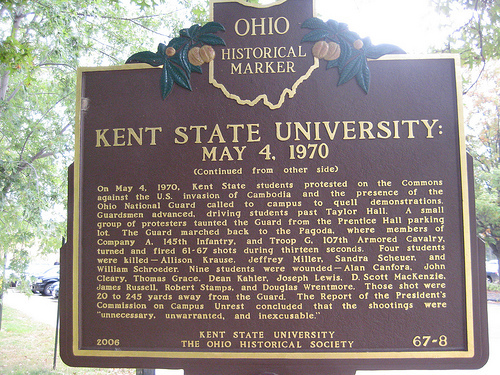 If the Truth at 1970 Kent State matters to you, please join us here. 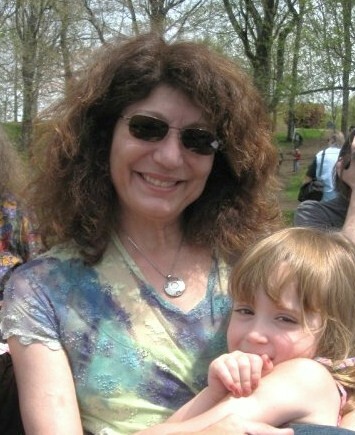 Watch Laurel Krause in her Kent State Truth Tribunal testimonial, May 1, 2010 in this live stream video.